Fightin Phillies - blogging Phillies baseball: The afternoon that got away - now Player's Weekend express yourself! The afternoon that got away - now Player's Weekend express yourself! Yesterday afternoon was a textbook at a lot of things that have gone wrong with the season with the Phillies. Nick Williams and Cesar Hernandez took the wrap for a day game pop-ups that just drifted away in the Philly sun, I was listening to the first inning on the radio and Larry Anderson nearly lost his composure on the radio broadcast within the first couple of plays in the game. He just keeps stressing what the Phillies aren't doing, executing the fundamentals of the game. It's hard to watch at times, especially for ex-ballplayers who have played the game and they know what is expected on players on the field. There are no excuses, even though Pete Mackanin explained that 'he lost it in the sun.." Well, that's stating the obvious. Get a bit more mad at times, Pete, it's ok. The Phillies wrapped up the series of 4-games with the Marlins. No, we didn't get Stanton in any trades and as I've written here, I don't think we need him. We have a guy named Hoskins now. Thank you very much. I can see Matt Klentak now going back to his trusted group of numbers punchers somewhere embedded into the deep recesses of the CBP thnk tank room. By the way guys in that think tank area, that was the 80th loss of the season for the Phillies this year. Do you think you can get anymore usable data from that? It was the 126th game of the season for this team. Still trying to stay somewhat positive and if you follow me on twitter @fightinphillies - you probably know that I've been tuning out of a lot of these really bad games by the Phils, it's just a waste of time to watch paint dry sometimes. 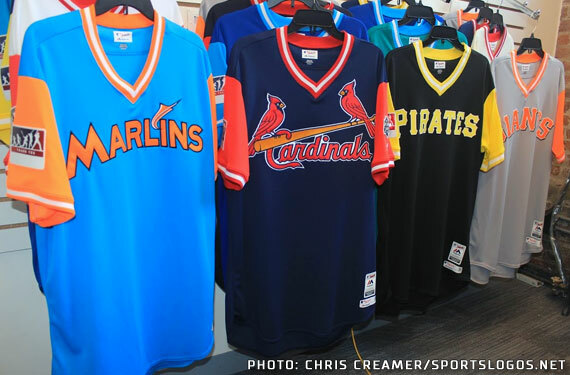 Here comes the weekend before Labor Day weekend, oh look, the MLB players will be wearing silly uniforms with their nicknames on the back on them for this weekend. That should be a whoot in Philly, there's a young bunch of players here though, they aren't that far removed from their youth and doing this kind of thing. Still it should be interesting to see what it all looks like on the field. The Phils take on the current World Champions of baseball this weekend at the ballpark. The Cubs.